The Dead Daisies will support Def Leppard and KISS for the remaining 19 shows of their Summer Tour 2014. They will play 19 shows from 2nd August in Atlantic City, NJ until 31st August in Houston/Woodlands, TX, the last show of the tour. 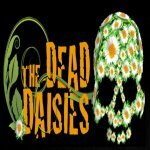 Kobra And The Lotus were confirmed as support for the other 23 shows on 9th May including the 12th August Toronto date which will not feature The Dead Daisies. The band announced yesterday they are touring with Bad Company and Lynyrd Skynyrd in July. They release an EP titled 'Face I Love' on 1st August and a single on 20th June. Their line up includes two members of Guns N' Roses, two former members of Whitesnake and Australian singer Jon Stevens who once fronted INXS. The tour was announced on 17th March at a press conference in Los Angeles at the House Of Blues.